Sleek & slim with softly rounded corners, the Volex range of wiring accessories combines quality with stunning good looks. Our Cooker Control Units have double pole switches that have been designed to operate at 45 amps 250 Volts. In addition it has a handy switched socket for other appliances. It has flush neon indicators for both the Cooker Switch and Switched socket to highlight power on. Modern Sleek & slim profile with softly rounded corners blends with any decor. 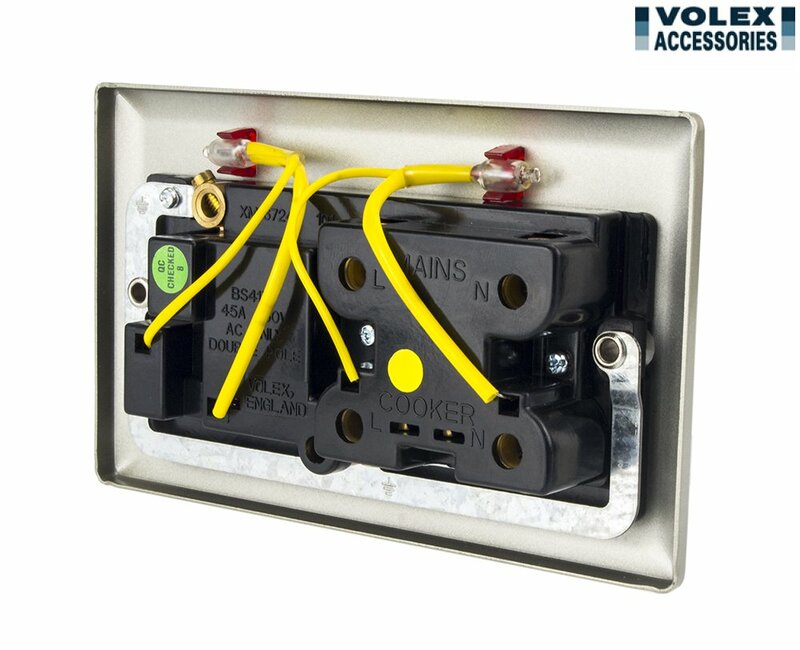 This product is part of an extensive range of Volex wiring accessories that suits all switch and socket applications in the home. It is easy to install having conveniently colour coded terminals for easy installation of wires. It also has two earth terminals for convenience of choice. The wall plates have matching screw for a sleek appearance. The neutral Black colour of the inserts and Design blends with any decor.